About Jane Eyre’s morality, Byronic hero, madwoman in the attic, and lasting impact. This article is part of a Year of Great Books, a Slate Academy. To learn more, read Laura Miller’s introduction to the series, or visit Slate.com/GreatBooks. Listen to Laura and Jacob reflect on their reading of Jane Eyre, by Charlotte Brontë, the second selection of our Year of Great Books academy. Their conversation was recorded at a live taping at the Strand Bookstore in New York City on April 13. Laura also speaks with Deborah Lutz, Thruston B. Morton professor of English at the University of Louisville, about her book The Bronte Cabinet: Three Lives in Nine Objects. To listen to forthcoming episodes of Year of Great Books, subscribe to the Slate Academy podcast feed at Slate.com/GreatBooks. 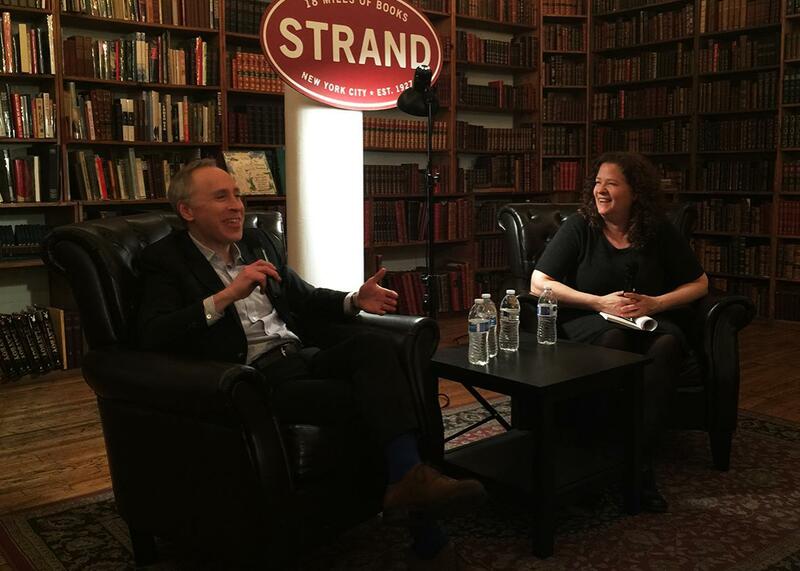 Jacob Weisberg and Laura Miller discuss Jane Eyre at the Strand bookstore. If you haven’t already done so, you should register to win a free copy of Thandie Newton’s audiobook reading of Jane Eyre, courtesy of Audible. Finally, make sure to vote for our next selection—stay tuned to our Facebook group for more information.